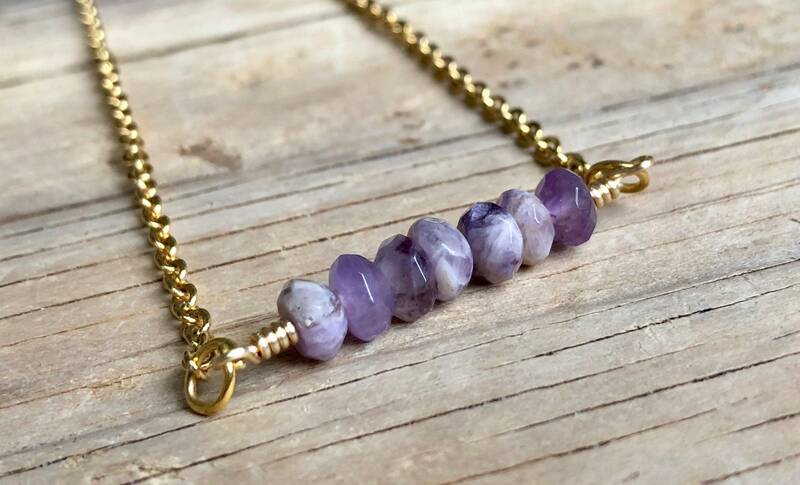 This stunning bar necklace features polished faceted amethyst beads. Chain is brass plated stainless steel. Lead and nickel free.